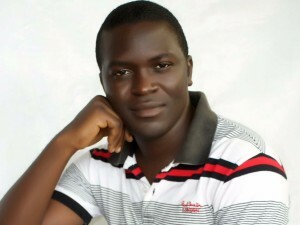 Babalola Raphael Kehinde loves to see people discover their passions so they can enjoy living fuller, empowered lives. As a teacher and author with passion for inspiring lives and imparting knowledge, he has made a remarkable success of these aspects through his numerous motivational, life-changing write-ups coupled with impactful, life-transforming messages from his various speaking engagements. I was actually inspired by many people living lives without purpose.This book helps them to connect to their purpose by doing what they are passionate about with the abundant deposit of potentials in them. I am a perfectionist. I like to come up with my work after several drafts. I will say they should keep on getting better at whatever they do.They should be rest assured that one day they will stand out of the pack. I decide to self-publish because of the free control i will have over the processes of my book production unlike in traditional publishing. The industry holds a lot of potential for both upcoming and established writers and i know the industry will get better. What genres do you write? : self-help,motivational,inspirational,spiritual.